Continuity mistake: When they are arguing in his bedroom, her scarf and coat are closed at one point, then open, then closed. Continuity mistake: When the President comes home, right before Sydney tells him that he lost her vote, he is walking up the stairs and unbuttoning his jacket. However, in the next shot, he goes to kiss his daughter, and his jacket is buttoned again. 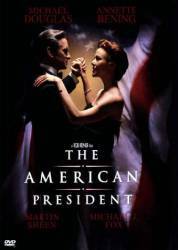 Other mistake: This error occurs during the scene in which the President and Lewis Rothschild are riding in the limo, just after the President has broken a date with Syndney. The background scenery, visible through the windows of the car, is noticeably in slow motion, even though the car (and the people inside it) are moving at regular speed. Leo Solomon's Secretary: Dig it, Miss Wade... you're the President's girlfriend. Question: When Sydney and the President are having dinner alone at Sydney's place (I think) around Christmastime, there is a beautiful song playing softly in the background. It is being sung by what sounds like two or three sopranos. Does anyone know the name of this song and its composer? Chosen answer: The aria is "Viens, Mallika" from "Lakmé", composed by Léo Delibes. Question: I have a question about the scene where Sidney receives the ham from the President. At the theatre I believe someone read the note aloud, but my video cut that part. Does anyone know what the note said? Chosen answer: Sydney mouths the words to the note and laughs, but she doesn't say the words outloud. Question: I'm looking for what Sydney says about disappointment when she comes back looking for her sister's sweater. Answer: She says is "Oh, f*** the sweater, she'll have to learn to live with disappointment."